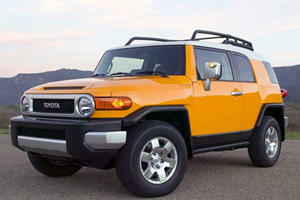 Another of Toyota’s highly capable off-roaders. 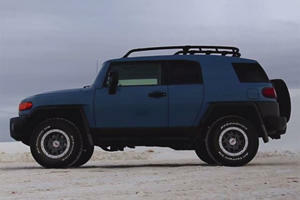 The FJ Cruiser is more stripped-down than the others, and along with the distinctive styling is an indicator of how much more focused on off-roading it is. 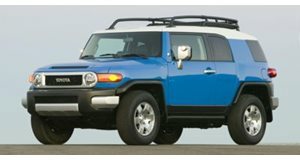 When rating the off-road-readiness of the FJ, it would be best to think of it as somewhere between the Jeep Wrangler and the Nissan Xterra. In this way, it is a genuine SUV in the spirit of those rugged vehicles which predated the trendiness which dulled so many vehicles in this segment. It isn’t great around town, particularly when it comes to visibility, but it is immense fun off road. Driven by soccer moms and dentists with no intention of going off-road. 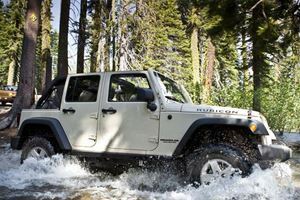 It's time to say goodbye to a true off-road machine.